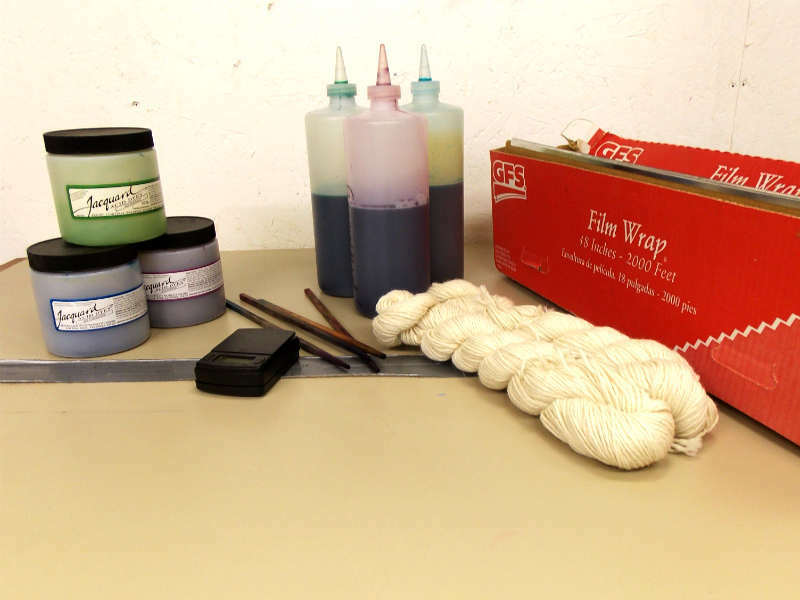 How to hand paint yarn…. 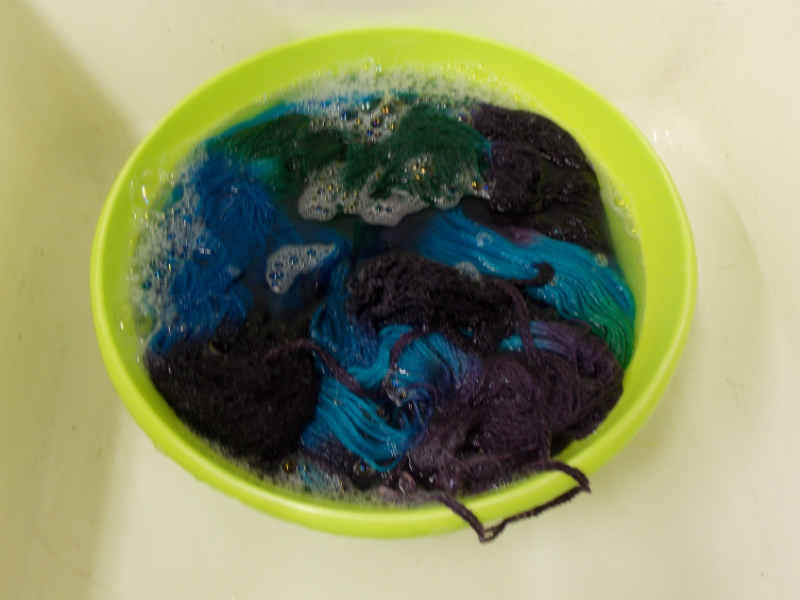 The first step is to soak your yarn in warm water with some vinegar added. 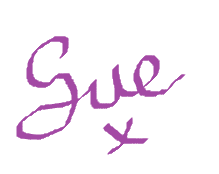 (This is the ‘acid’ in acid dyes). I usually paint about 8 to 10 skeins at a time so I add about 1 cup of vinegar. 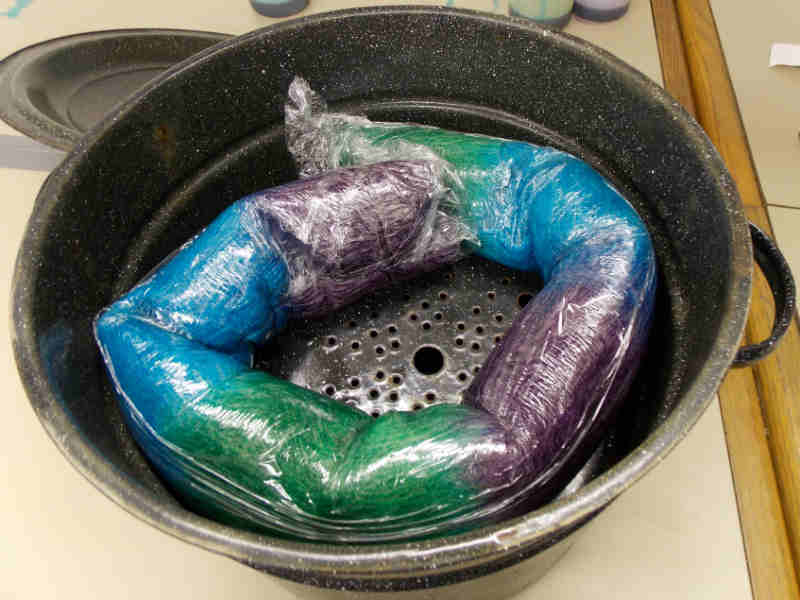 Let your yarn soak for about an hour. 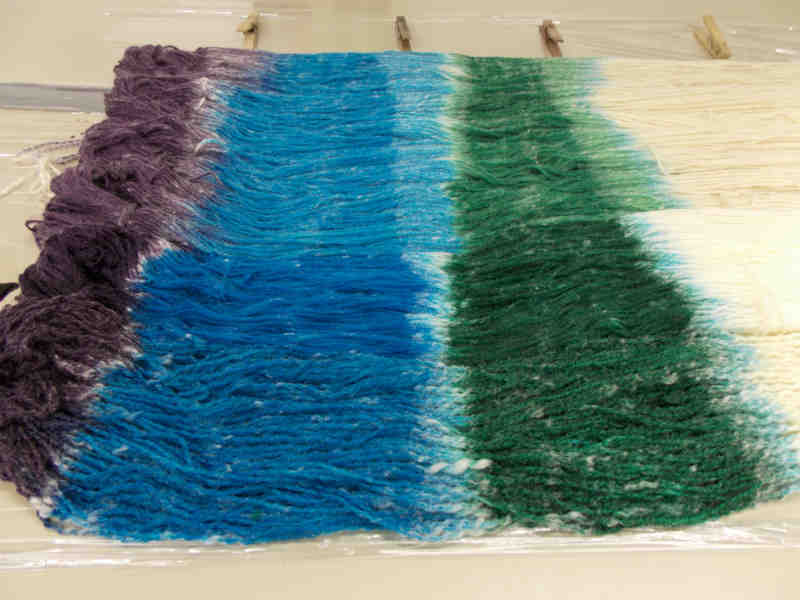 While your yarn is soaking, mix up your dyes. The instructions are on the dye bottles so I won’t go into the details other than to say that for most colors I mix approximately .3 oz per 1/2 gallon of water. Next you want to remove your yarn from the water and let it drain for a bit. About 20 minutes or so. You don’t want it to dry out but it also shouldn’t be dripping wet. Squeeze out the excess water. 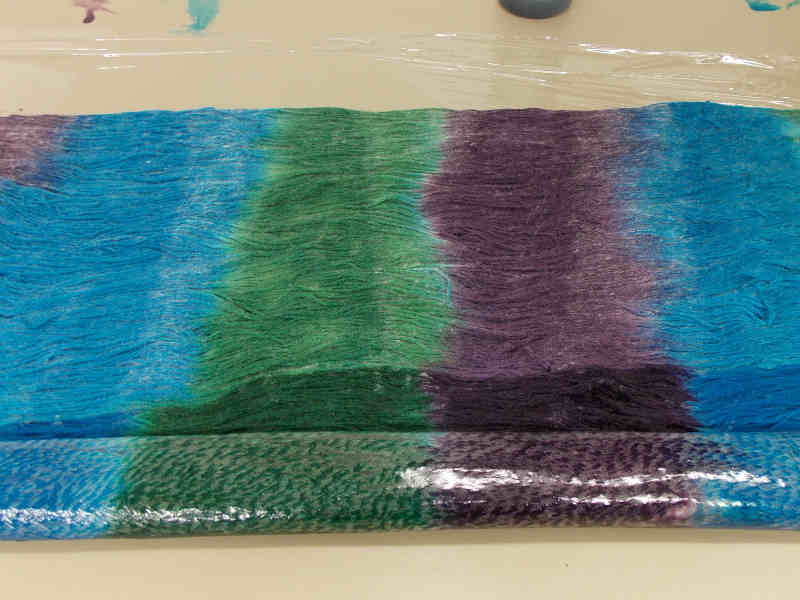 Lay down a length of plastic wrap and place your yarn on top. The plastic should be larger than the area of your yarn. Now the fun starts! With the squirt bottle, begin applying your dye. 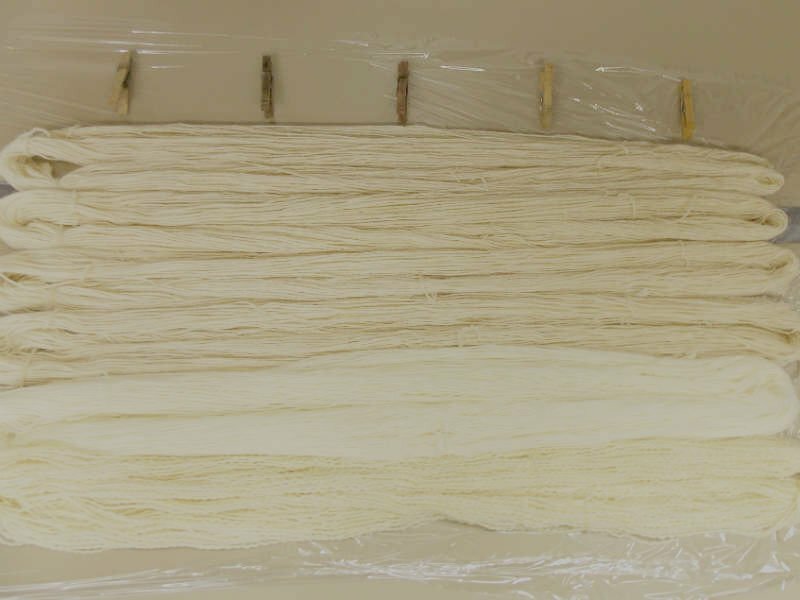 Use the chopsticks to carefully move the yarn to make sure the dye penetrates to the bottom of the skein. When switching colors, I will usually leave a small gap to give the colors a chance to blend together. 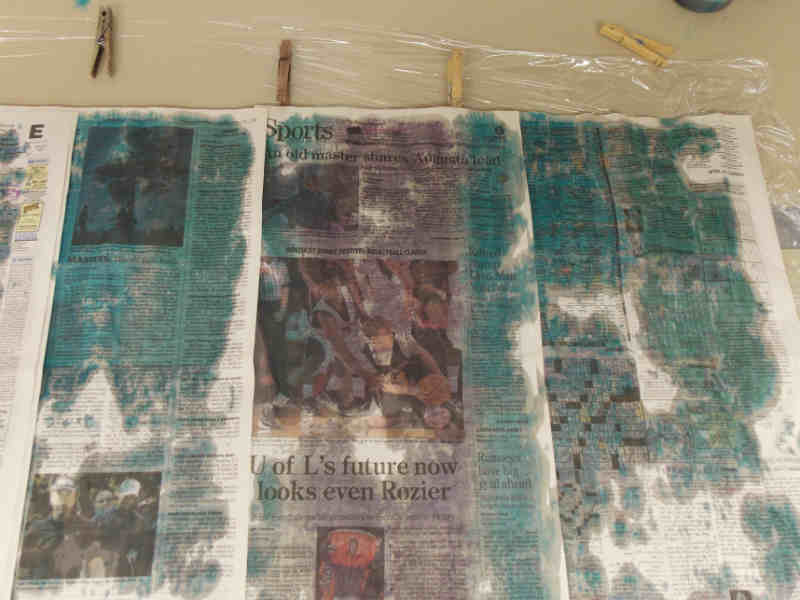 After all of the color is applied, I use newspapers to soak up the excess dye. Next, you want to roll your yarn up in the plastic wrap. Place it in a large pot with a steamer basket or something to keep it out of the water. Add water to the pot, bring to a boil and simmer for about an hour. Let the yarn cool overnight. Next, rinse your yarn thoroughly in luke warm water until the water runs clear. Fill a bowl with water, add some dish soap and place your yarn in the bowl. 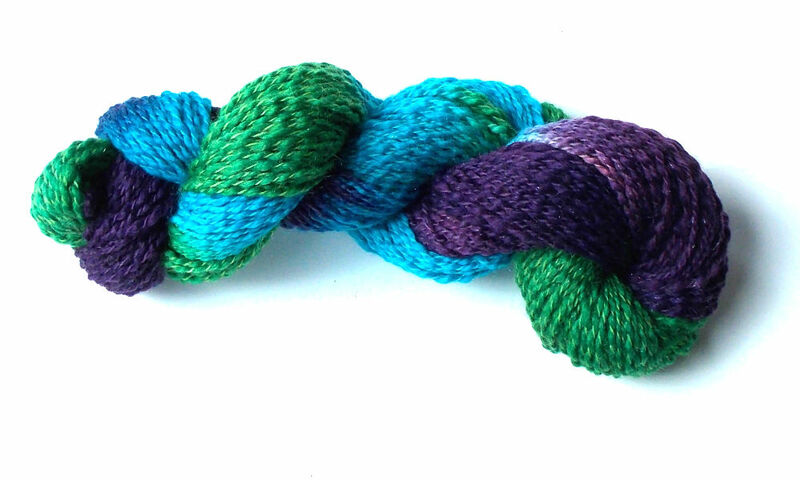 This will help to remove any excess dye particles that didn’t adhere to the yarn. Rinse the yarn again and hang it up to dry. Voila! 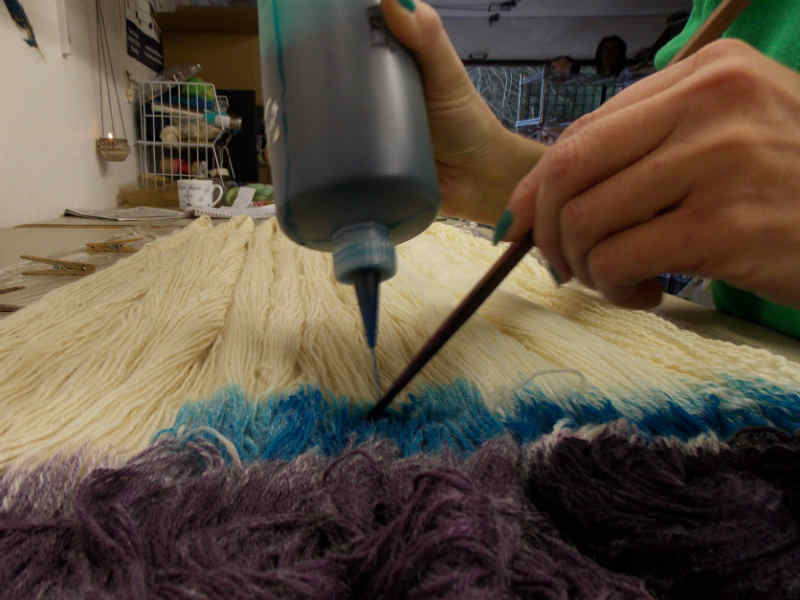 Hand painted yarn. If you have any questions about these instructions, please let me know. I hope you will join me in thanking Annette! I think the yarn looks fantastic. It's inspired me so much that I am looking forward to trying it myself.